I think this is a great article that was published in the jewelry industry online magazine, The JS Report, about changing trends in bridal. How do you reach the millennial bridal customer? That was the question posed to jewelry industry bridal experts during a panel at Women’s Jewelry Association’s In The Know Conference on March 10. The experts included: Phyllis Bergman of Mercury Ring; Miriam Gumuchian, of Gumuchian; Jenny Luker, Platinum Guild International; Amanda Elser, editor at The Knot. Millennials shop for bridal on a different way, on social and sharing/hinting to their partners. The consensus for the entryway to bridal jewelry is Pinterest. Elser describes it as “sneaky” — with leaving screenshots, pinning photos, tagging things on Instagram so their friends and partners can see. She likened it to the modern version of folding in corners of magazine ads and photos for boyfriends to see. Luker noted that PGI is focusing on experiential websites and media, because younger consumers want to experience a product and the feeling behind it. Yellow and gold metal are coming back, but consumers always go back to classic according to the panelists. Classic styles are still what sells, both Bergman and Elser agreed. But there is a need to sell unique designs within the classic settings. An example of trends within the classic category is stacking wedding rings or mixing and matching metal tones — yellow and white — for the engagement and band. Personalization is also very important to younger customers. 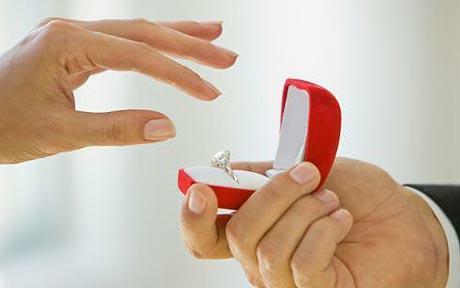 For second marriages and beyond, the consensus was that rings are bigger and more ornate or intricate designs. When asked about synthetic diamonds, Bergman spoke about how it is a great concern to sellers of natural diamonds. She emphasized that it is going to help bring back the emphasis on the story and the precious origin of natural diamonds. Social media takes some creativity. I think this is brilliant!